Historically, gold and silver have always represented wealth. That historical precedent continues today, and gold and silver remain not only highly valuable precious metals, but also a contrarian investment strategy. 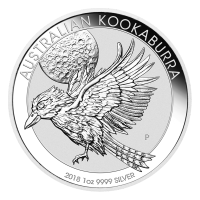 It’s also one of the few investments you can hold in your hands, and many have become more interested in gold now that buying it online has made it easier to invest in physical bullion directly. However, there are a few things to consider when you’re sourcing gold and silver, including cost over spot, shipping, and liquidity. As an online retailer, Silver Gold Bull can offer lower premiums over spot than retailers, and if you’re buying bullion primarily as an investment, we also offer fully insured storage solutions that give extra peace of mind. 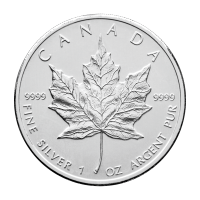 Another advantage to buying your gold and silver from us is our inventory; it’s the largest in Canada, both in terms of the quantities of each item in stock, as well as the breadth of our offerings. 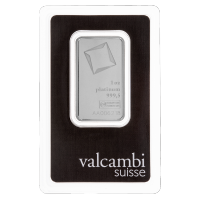 Smaller silver and gold dealers often have to source your purchase after you pay, leading to long delivery times and uncertainty. Our large and stable capitalization allows us to easily and quickly sell and buy, and this provides a level of liquidity that no either dealer can match. You can find out more about shipping, buying, and selling gold in the Questions and Answers section at Silvergoldbull.ca. You can buy gold in either bar or coin form, and both are investments in which you’re paying for the gold content, not the numismatic value or collectible value of the item. 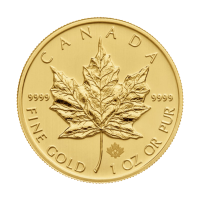 Canadian Maple Leaf coins, for example, are high in gold purity, which makes them easy to trade. 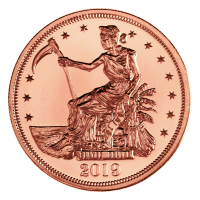 Unlike collectibles, coins that commemorate an event or a national anniversary, they are easy to liquidate. 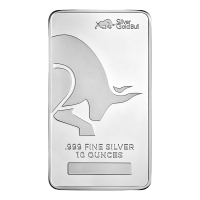 We also buy gold at Silver Gold Bull; if you’re storing your own gold, whether it’s at the bank or in a safe at home, just fill out a simple online form to get a live quote based on the present value of gold or silver. Once we approve the sale, we send you a shipping label that’s insured for the full value of your shipment with tracking. 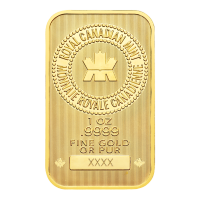 Gold bars and Canadian Gold Coins are also RRSP eligible, meaning you can easily make them part of your long-term portfolio, a popular option for investors who want to diversify and hedge against stock or currency losses, or protect their savings against inflation. Investors often prefer to buy gold coins themselves because they’re tangible and in your possession. Gold exchange-traded funds (ETFs) don’t actually own the gold in which you’re investing, but trade on the index. Collectibles, on the other hand, are not as simple to sell, since they may have numismatic value – value as a collectible. You can buy gold collectibles as a gift or for your personal collection from us and have it shipped fully insured. In addition to collectible coins from superheroes to Disney, national mints such as the Royal Canadian Mint make series of gold and silver coins with unique obverse and reverse designs. Collectibles are not only a great gift, they can spark a young mind to explore the importance of investing for the future. You can order simply and easily online and have it shipped fully insured and discreetly. At Silver Gold Bull, we even use a pseudonym as the return address, while larger orders can also be staggered for better security. 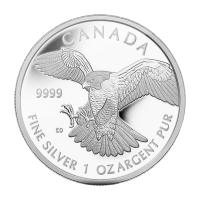 With a large inventory of silver and gold, you won’t be kept waiting, we ship as soon as your payment is approved.